GAME: WHAT ARE YOU BUILDING ON? Prepare two small tables, one soft pillow, some building blocks or Uno Stacko. Divide kids into 2 groups. One group gets to build on a table; the other has to build on the soft pillow, placed on the table. Each group has to build the tallest building out of the blocks/Uno Stacko pieces on the table/pillow in 3 minutes. At the end of 3 minutes, gently shake the two tables. Or get kids to try to blow the other team’s tower down (no contact allowed!). Jesus liked to use a lot of stories when He taught the people. These stories are called “parables”. 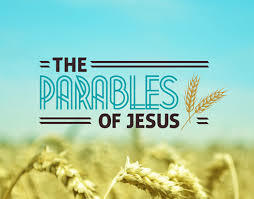 Jesus told the people a parable about two men. These two men were building a house. One built his house on the rock — he dug deep to make sure he had a solid foundation. 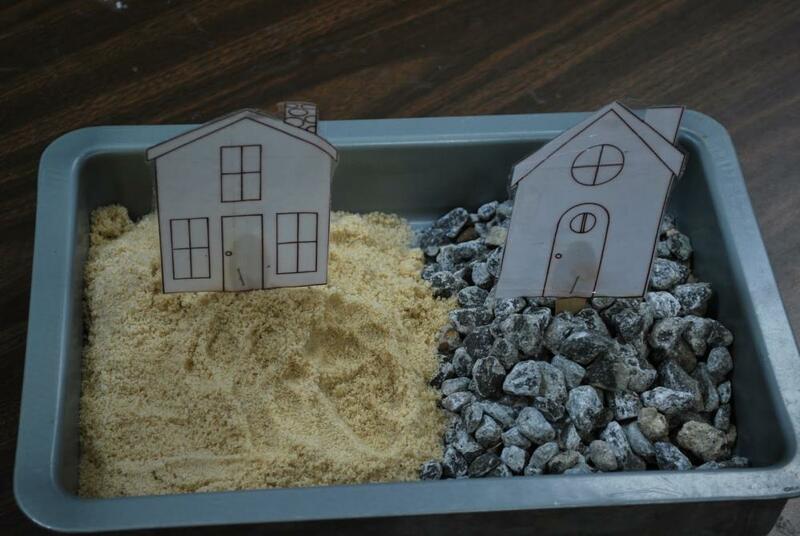 The other decided to build his house on the sand. Both houses looked nice when completed. But one day, a heavy rain came. The wind blew, the flood rose. The house on the rock got wet, but it stood firm. However, the house on the sand fell flat and was destroyed. How many of you saw the news and pictures of earthquakes and tsunamis? This reminds us that in such storms, many things are easily destroyed. Our hope and faith cannot be on them. When we build our house on sand, we’re building on our own abilities, our intelligence, our achievements, our money ... we think that we are good enough for God. But when the storms come, we realise that whatever we have built cannot stand. Only Jesus is good enough for God. Only He can make us good enough for God. And when we believe and trust in Him, we can stand firm till the end. Do we want to build our life on ourselves or on Jesus? 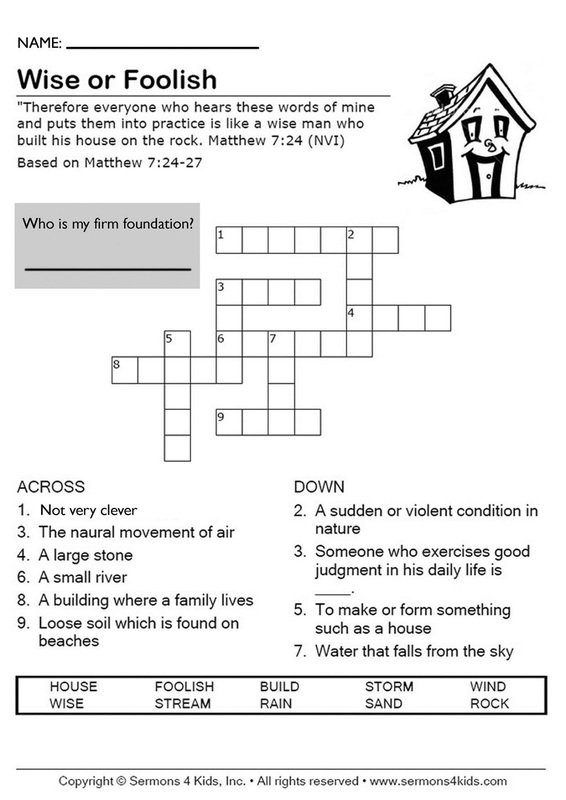 Pray: Thank you Jesus that You are our sure foundation. You have done a perfect work on the cross, and all we can do is to trust in You and not be shaken. Thank you for keeping us safe in the storm. In Your name we pray, Amen. Get kids in smaller groups. Get them to share what it means to really trust Jesus and build their lives on Him. Assure kids that when they trust on Jesus, they will not be shaken. Encourage those who have yet to accept Jesus to do so. This man's house stood firm and strong! This man's house came tumbling down!